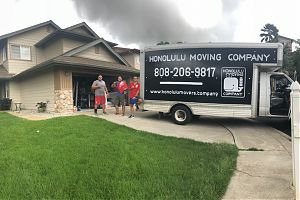 Honolulu Movers, provide basic moving insurance for your belongings that takes effect from the time your items first handled by our movers until your items reach your final destination. However, our coverage is basic per standard of $0.60 per pound of damages. For example, if your 30 pound flat-screen TV is damaged, we're required to reimburse in the amount of $18.00 ($0.60 x 30 pounds = $18.00). Therefore, we highly recommend purchasing additional coverage known as "third party insurance" through www.emoveinsurance.com. Their rates are very affordable, costing between 1% to 2% of the total value of your item(s) value, and insures them at their full value. Full coverage of your belongings is your responsibility to arrange and is not offered by Honolulu Movers Company, Due to law, movers CANNOT be held responsible for valuable items, such as cash, jewelry, documents, etc., so please make arrangements to transport these items personally. Honolulu Movers Company, takes many precautions to avoid damages to your belongings. In the event damage occurs, the customer and crew are BOTH required to discuss the matter immediately to determine the cause. If damage results from a mistake on the part of Honolulu Movers Company, every attempt will be made to assess the amount of damage and have it properly fixed. If an amount can be agreed upon between BOTH parties, the matter will be settled immediately with payment in full by Honolulu Movers Company. If the amount cannot be settled immediately between BOTH parties, the moving invoice must still be paid in full as damage claims are not valid according to insurance regulations if the invoice remains unpaid. At this point, a claim will be filed with Honolulu Movers Company, to compensate you for any damages. 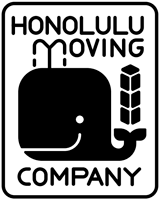 Basic Honolulu Movers Company, coverage - minimal coverage $0.60 per pound of belongings.